መጽሐፈ ስንክሳር – በግዕዝና በአማርኛ (ከመስከረም እስከ የካቲት)፣ ትንሣኤ ማሳተሚያ ድርጅት፣ አዲስ አበባ፣ 1994 ዓ.ም. Amsalu Tefera, 2013, “Gädlä Särabamon: the case of the Ethiopic version”, a paper read on a workshop titled “EMML@40: The Life and Legacy of the Ethiopian manuscript microfilm Library” organized by Hill Museum & Manuscript Library, Saint John’s University, Collegeville, MN, USA, July 25-26, 2013. Budge, Wallis, 1928, The Book of the Saints of the Ethiopian Church: a translation of the Ethiopic Synaxarium መጽሐፈ፡ ስንክሳር፡ made from the manuscripts Oriental 660 and 661 in the British Museum, vol. I, Cambridge at the University Press. Chaîne, M., 1912, “Catalogue des manuscrits Ethiopiens de la collection Antoine d’Abbadie”, Paris. 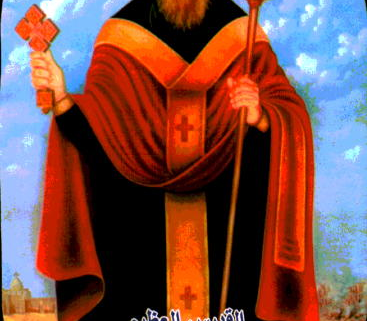 Coptic Synaxarium, reading on Hatour 28, – retrieved online –http://popekirillos.net/EN/books/COPTSYNX.pdf, accessed on May 14, 2012. Hayvernat, Henry, Les Actes des martyrs del’Égypte, retrieved online from http://www.archive.org.detailes/lesactesdesmarty01hyve – accessed on November 6, 2012. Rhodokanakis, N. 1906, Die Äthiopischen Handscriften der K. K. Hofbibliothek zu Wein, Wein Athiop. 19. 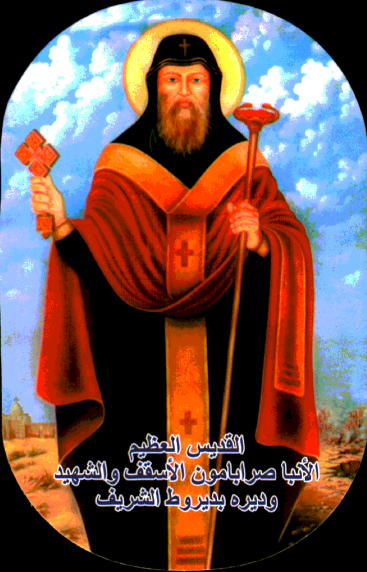 Youssef, 2013, “Liturgical Texts Relating to Sarapamon of Nikiu”, Peeters Online Journal, pp. 263-280.